Sonnet's Thunderbolt™ Pro P2 Card Reader quickly transfers files from Panasonic® P2 memory cards to your Mac® (with Thunderbolt or Thunderbolt 2 ports) on location, in the studio, or in the edit suite. 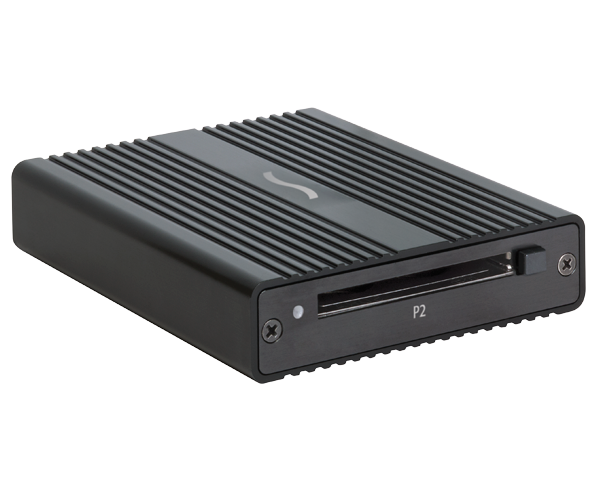 This single-slot reader’s ability to transfer data from P2 cards at much higher speeds than USB 2.0 card readers are capable makes for a significantly more convenient and efficient workflow. Its value price makes it the most cost-effective P2 card reader available.